Word of mouth is a tremendous marketing tool in the party event and rental industry. Happy customers are one of the best resources for increasing your business. While some folks will be so pleased with your services that they will tell everyone about you, others may need that extra nudge. Offering a referral bonus will help to motivate your happy customers to spread the word. It will also make them more likely to keep their eyes and ears open for anyone interested in inflatable services. Offering customers a referral bonus is a cost effective way to get new, qualified prospects and to ultimately generate new business. You have a couple of options in the type of referrals bonus you choose to offer your customers. You can offer them a cash bonus, which will be the most motivating incentive, or you can offer them a discount on future services. The latter, while incentivizing, will only appeal to those customers that foresee an event where they will use your services in the near future. The next question becomes how much to offer. To determine this try to identify the cost of your business to acquire a new customer. Include all acquisition costs from advertising and marketing to websites and printing. The referral bonus that you extend to your customers should reflect a portion of this amount. Make sure the amount is high enough to be motivating, but still within your means and at or below the cost to acquire a customer. Also, keep the amount consistent from customer to customer. The last thing you want to do is to alienate some of your best customers by offering them a lower incentive than others. Don’t risk the word getting out. In order for your referral program to be effective you need to make the program easy to understand. Clearly state the dollar amount the referrer can expect and under what conditions the bonus will be paid. Don’t get too complicated in the program and avoid multi-level programs that will only confuse your customers and raise skepticism about the program. Once you have established the program and the criteria to be used you need to tell your customers about it. This can be done through word-of-mouth, an email blast, or a direct mail piece. To have your referral program have the highest chance of success consider compiling a list of your best (happiest and repeat) customers. As long as you have the staff and time available to do it a quick phone call or personalized email to the customer will make sure that they are aware of the program. This will also show them that you care enough to give them personalized attention, which is always a plus with your customers. This obviously isn’t the best strategy to gain new customers unless you have a happy and satisfied base of past clientele. Any referrals program should be considered an add-on to your existing marketing strategy. Good luck incentivizing your customers to work with you! You’ve finally decided that you’re going to start your own inflatable business. You’ve got the money that you need to begin, and you’ve got a budget. You’ve even asked friends and family to help you and to lend a hand when necessary. 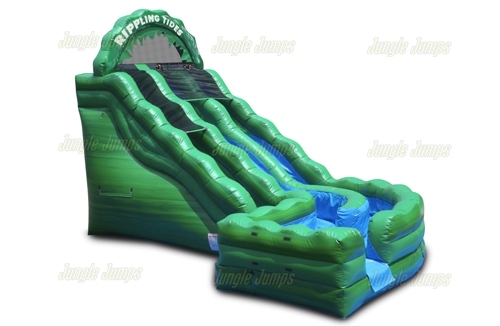 Now it’s time to buy the inflatable that you need from the inflatable slide manufacturer, so how do you begin? The first thing that you need to do is to pick an inflatable manufacturer that you can trust. There are a large number of manufacturers that are selling bounce house and inflatables, which is why it can be hard to know who to choose. First, narrow down the businesses that you’re looking at by picking between the ones that have the type of inflatables that you want and the ones that don’t have the types of inflatables that you need. While it can be tempting to look only at the inflatable slide manufacturer businesses that have the lowest price, that may not be a good idea. You might select the cheapest inflatable only to find that you sacrificed price for quality, and no business owner wants to purchase a product that they need over and over again. 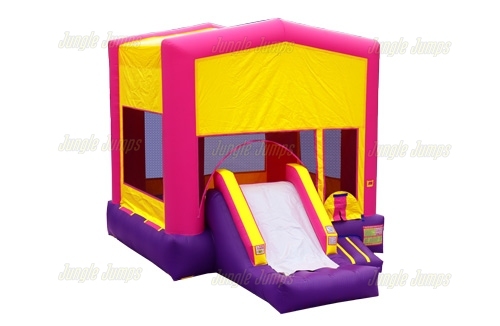 It’s also important to figure out what you need when you begin looking at bounce houses. A good inflatable manufacturer website will give you some idea as to what options you have to select from, but in order to pick the right thing you need to know what types of inflatables rent well in your area. To know that you need to get some research done. The research should be done locally in your area. Ask friends and family if they know of anyone who has rented inflatables, and look at the amount of companies that you have in the area as well. If you’re in an area that has a lot of companies, then you may want to think about getting inflatables that cater to businesses. If, however, you don’t many businesses in the area, than sticking to kids inflatables may be a smart idea. The inflatable slide manufacturer is there to make money, so it’s up to you to make sure that you know exactly what you need and to find the best seller for your needs. If you’ve ever thought about running your own business, you’re not alone. Many people contemplate having their own business. They love the idea of being able to do whatever they want and of earning more of the funds than they would if they were employed by someone else. It’s easy to look at a bounce house sales website and to think about the day that you can run a company that rents out inflatables, but it’s another thing entirely to actually start a business and to have it thrive. If you’ve been visiting a website of a bounce house manufacturer and thinking about beginning your own rental business, here are a few tips that may help. 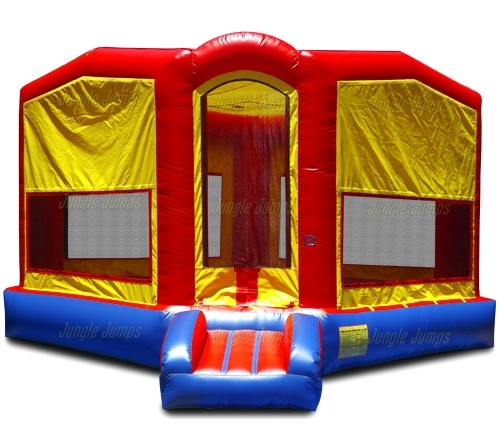 Organization is key when you’re thinking about having a bounce house rental business. Being disorganized could be the difference between having a business that thrives and one that isn’t able to make it. Imagine getting to your client’s house and realizing that you’ve forgotten the pump or something else that you need. That’s why you should constantly have a list ready to go. A list can help you to keep everything organized and can make it so that you don’t forget anything vital. Have a checklist on a clipboard beside all of the inflatable gear and make sure that you check it off every time you head out to a job. You’ve got to do a great amount of research when it comes to having your own rental business, from going onto the website for a bounce house manufacturer and figuring out which houses you want to purchase, to figuring out how much you should charge for your rental. Some owners go to a website that promotes bounce house sales in order to try to figure out how much they should charge for their services. This is not a good idea because in order to put a fair price on your rentals you need to research locally, not globally. And the research shouldn’t end after you have begun your business, but it should continue as you research, every year, the prices that your competitors are offering and what your client base is like. There are a number of tips and tricks that you can use to help you to get your inflatable business to thrive, but make sure, above all else, that you stay organized and that you are constantly researching.